Reading and share top 4 famous quotes and sayings about Nepenthe by famous authors and people. 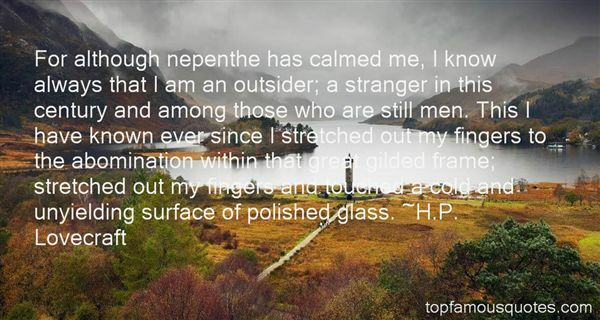 Browse top 4 famous quotes and sayings about Nepenthe by most favorite authors. 1. "Quaff, oh quaff this kind nepenthe, and forget this lost Lenore!" 2. "For although nepenthe has calmed me, I know always that I am an outsider; a stranger in this century and among those who are still men. This I have known ever since I stretched out my fingers to the abomination within that great gilded frame; stretched out my fingers and touched a cold and unyielding surface of polished glass." 3. 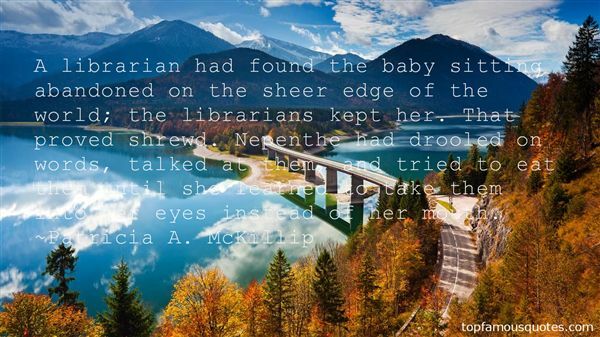 "A librarian had found the baby sitting abandoned on the sheer edge of the world; the librarians kept her. That proved shrewd. Nepenthe had drooled on words, talked at them, and tried to eat them until she learned to take them into her eyes instead of her mouth." 4. 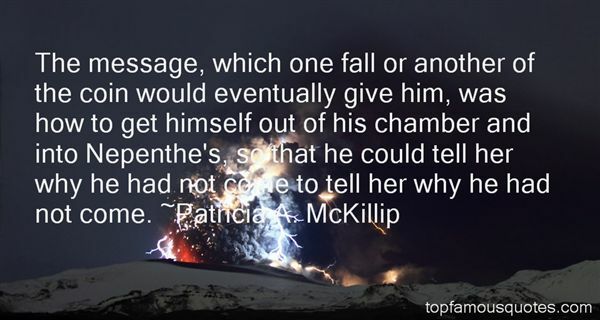 "The message, which one fall or another of the coin would eventually give him, was how to get himself out of his chamber and into Nepenthe's, so that he could tell her why he had not come to tell her why he had not come."